PANDORA Shine Floating Grains Pendant Charm. 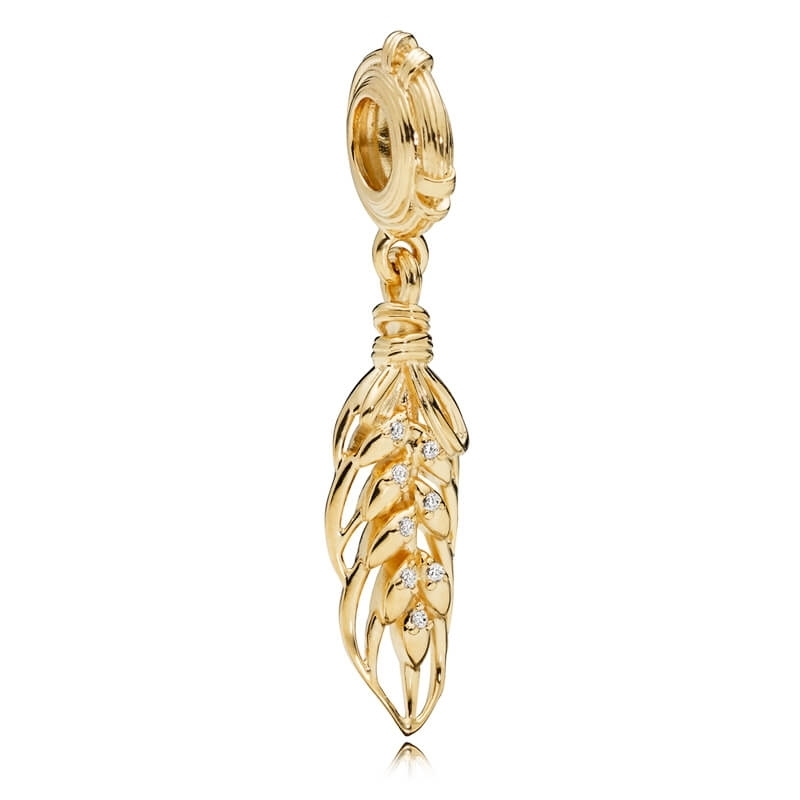 Dangle charm inspired by golden fields of wheat in 18 ct gold plated sterling silver. Combine with a PANDORA chain to create a wonderful statement necklace.